It does not look like this is going to be a cooking weekend. In addition to our traditional Chinese takeout on Sunday night, our son came over for a visit on Saturday and we went out to lunch. We tried a new place, Gobi Mongolian Grill. Normally when I go to our favorite Mongolian BBQ in Utah, I keep it strictly vegetarian but I thought I would try a few meats at this new place. They had beef, lamb, turkey sausage, and chicken. I chose a little beef and some turkey sausage and then a bunch of vegetables. They also had tofu which I tried. The turkey sausage and the tofu were not good. Both had a bad texture. Son and John raved about the lamb. All the vegetables were great. I think I will stick to vegetables next time! 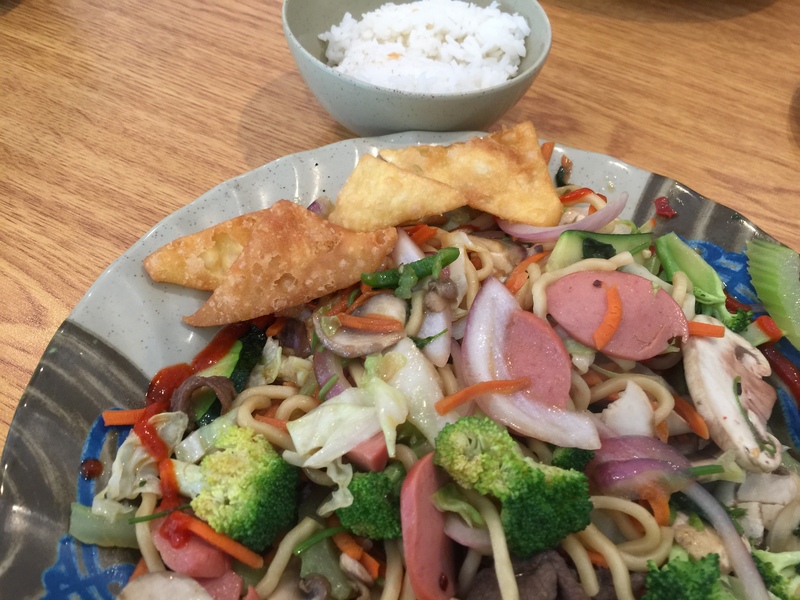 This entry was posted in Beef, Dining out, rice, Vegetables and tagged Dining out, Mongolian BBQ. Bookmark the permalink.